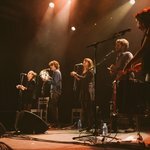 Occitan polyphony is the starting point for this six-voice and percussion collective as they embark on their search for universal folklore, rooted in the region's deep troubadour traditions yet circulating between cultures and musical genres. 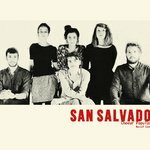 Their compositions use the Occitan language as a rhythmic instrument, combining poetry with hypnotic vocal harmonies cascading over shifting patterns of compelling percussion. In the performance work 'La Grande Folie', they question the myth of an unalterable 'heritage', seeking instead 'to answer the question of the boundaries between tradition and creation. An answer to those who say that music has a beginning and an end'. 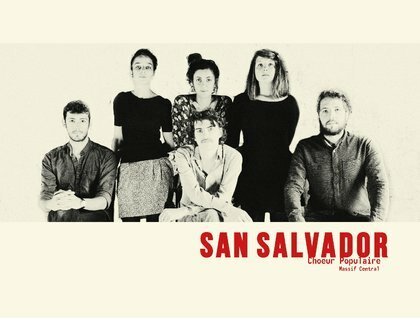 It's a joyful quest that sees them following every path from the crossroads of trance, choral punk, global vocalese and math-rock constructions; modern Occitan troubadours at large in the world.